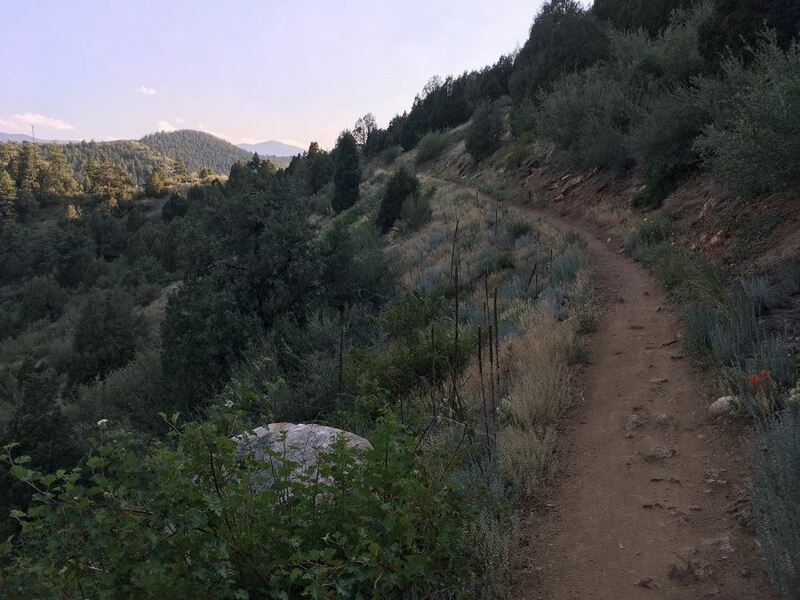 Encompassing over 24.1km of multi-use trails, Centennial Cone encompasses the beauty of Clear Creek Canyon with a backcountry feel. 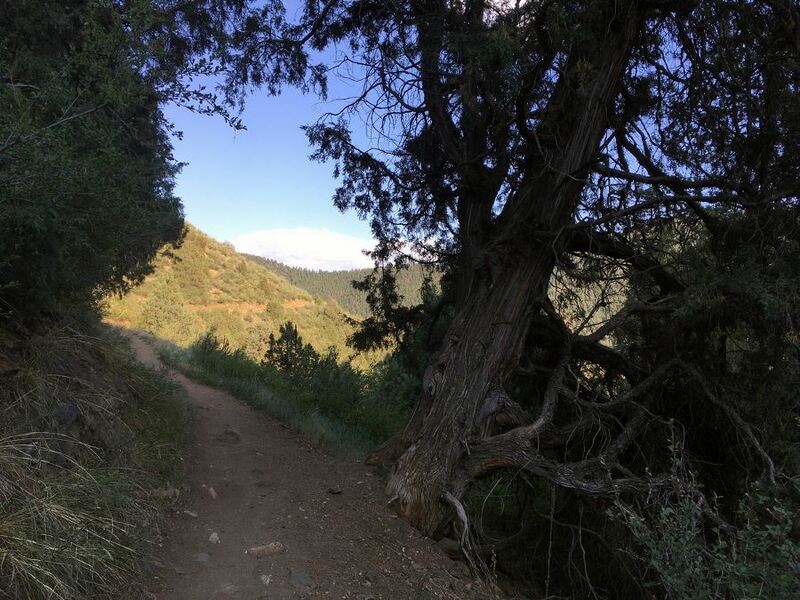 It’s a popular trail with locals and in one hike past the gulch and you’ll understand why! From Denver, head west on Highway 6. This curves around and heads north to become HW 93. Take a left, west, at the intersection of Highway 93 and Highway 58 (west on HW 58 becomes HW 6) to head up Clear Creek Canyon. About 17.7km up the road you’ll see the parking lot for Mayhem Gulch on the right. There are many ways to enjoy the park: on foot, horse or bike. During the week, all trail users share this beautiful space, but on the weekends, there is a strictly enforced alternate use schedule.  Before heading out to Centennial Cone Park, check the trail usage calendar. On even numbered WEEKEND days, Hikers and Horses are prohibited. On odd numbered days, hikers get to enjoy the hills without bikers. Visit this link for a calendar. From the Mayhem gulch trailhead, there a small loop that connects to the larger 19.3km loop around Centennial cone. 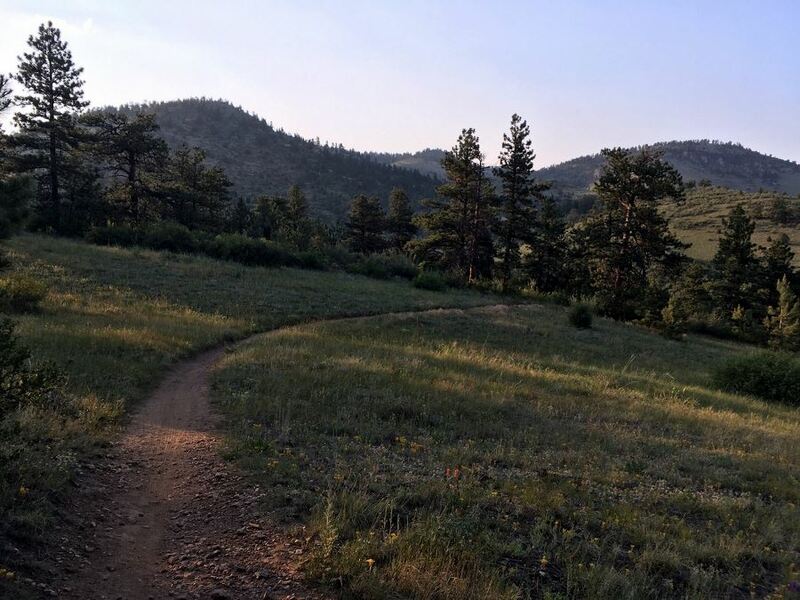 You can hike the whole thing or just the smaller loop of the Mayhem Gulch trail system. 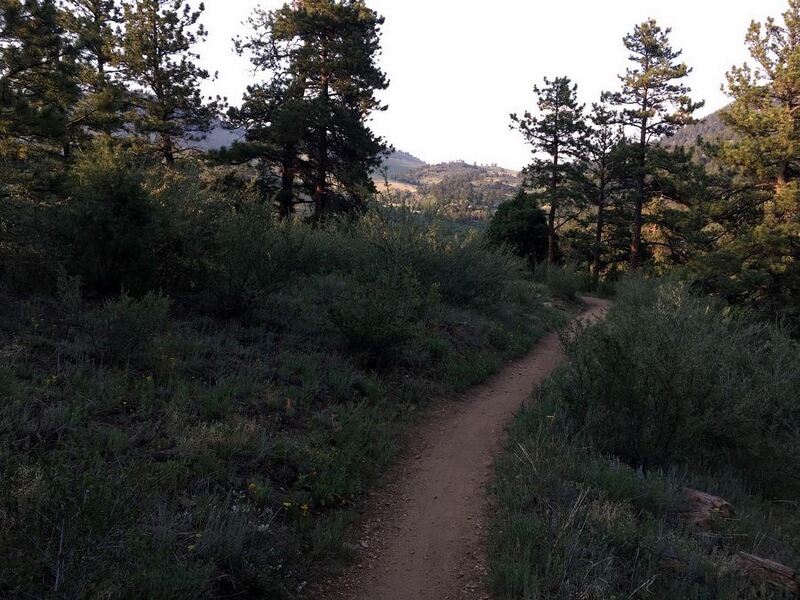 From the Mayhem Gulch Trailhead in Clear Creek Canyon, find the trail start at the west side of the parking lot. You’ll immediately start ascending into the park getting your heart pumping right away. 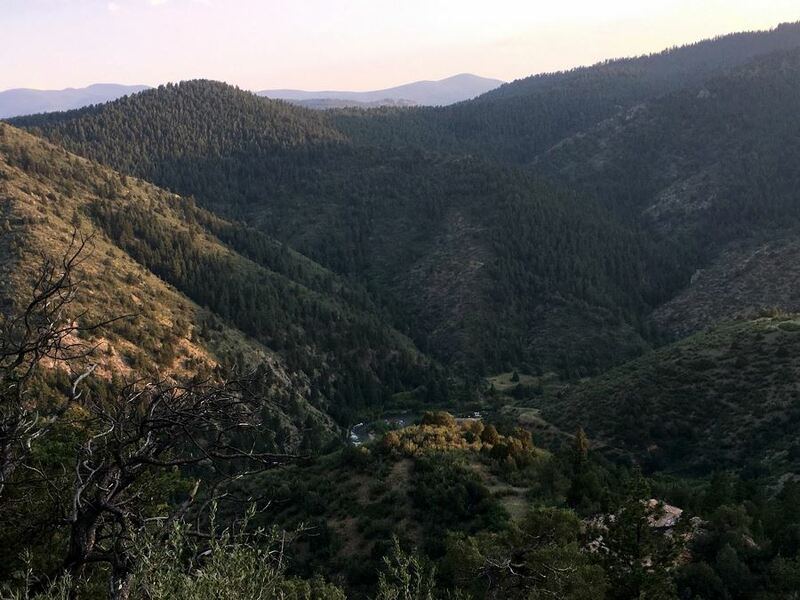 Between breaths you’ll have views down Clear Creek Canyon. Take a pause at about 1.2km, right before a switch back on the east side of the trail. The gulch to the east is Mayhem Gulch and during early spring you can see a waterfall. During the winter, it freezes and sometimes you’ll find people ice climbing. Continue on up the trail and at 2.4km, the trail splits. Take a right to follow the map above, but either direction will end up in the same place. Following the guide’s path on the map above, the trail stops ascending the hillside and enters a wooded forest. Peak through the trees to see the whole of Centennial Cone, the additional 19.3km of looped trail that winds around a valley, sometimes without any signs that you’re near a city, feeling like you’re in the back country. At 4.0km, the trail opens up to the meadow and you’ll connect to the 19.3km loop start. Keep left at each trail junction to head back to the Mayhem Gulch Trailhead. 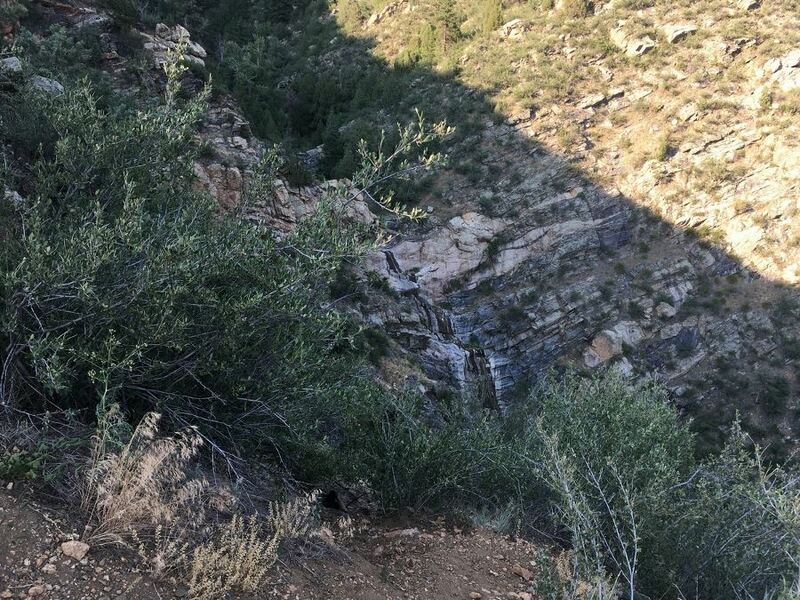 The hike back gives you more views of the canyon along the side of a steep hill. When you reach the juncture, hang a right to take you back to your car. 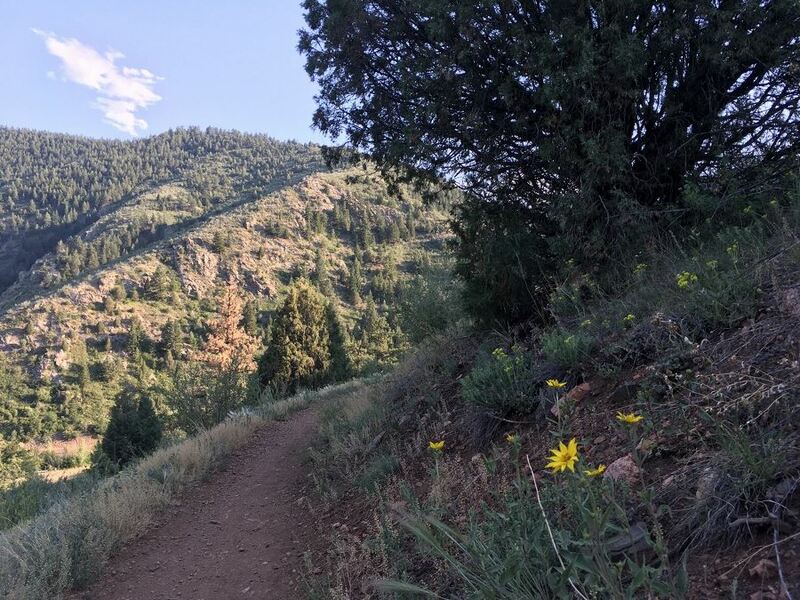 If hiking in late spring or early summer, take a look at all the wild flowers blooming from Indian paintbrush, sunflowers, prickly pears and more! 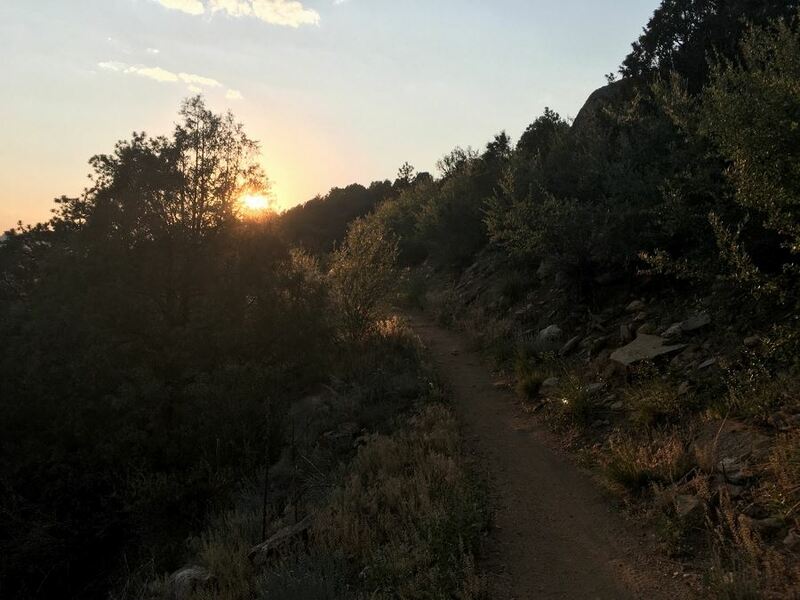 To see more of the park without adding on more hiking miles, drive to the other two parking lots on the north side of the Centennial Cone Park from Golden Gate Canyon Road or Highway 119. Clear Creek Canyon offers a beautiful and fun east to west drive alternate to I-70. Pack your bike! 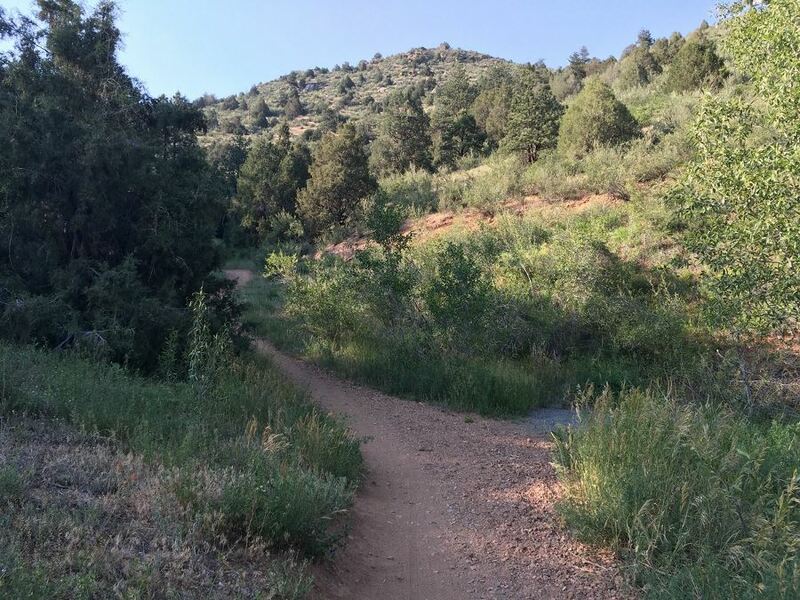 Parts of the “Clear Creek Canyon Peaks to Plains Bike Trail” are open starting at Mayhem Gulch heading west with more and more parts of the trail opening up every year. Try your hand at rafting! Multiple companies can take you white water rafting through Clear Creek Canyon.